Kunjufu has made it his life’s work to challenge America’s educational curriculum quagmire. 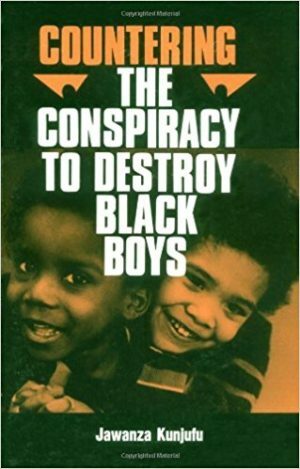 Scholar, noted author, social justice activist, lecturer, and publisher, Jawanza Kunjufu, Ph.D., is the author of over 40 books including such highly-acclaimed and controversial national bestsellers as Countering the Conspiracy to Destroy Black Boys and State of Emergency: We Must Save African American Males. As an educational consultant to many urban school districts, Kunjufu has made it his life’s work to challenge America’s educational curriculum quagmire, and to inform educators of their own derelictions because he feels Black children are disproportionately denied an effective and empowering education in this country. In 1980, Kunjufu founded and became president of African American Images, a Chicago-based publishing company that offers a culturally relevant curriculum for both students and teachers. He also holds workshops that help parents navigate through an educational system rife with racial bias against their children, who oftentimes find themselves working against teacher expectations. Such teacher assumptions presume criminality, a lack of motivation, and an inherent lack of ability to perform. Instead, Kunjufu believes that Black children need to be exposed to a curriculum that builds on their strengths, affirms their culture and treats them with dignity and compassion. The birth of Kunjufu’s two sons, Shikamana and Walker, further fueled him to zealously right the wrongs of miseducation and he has exerted a positive influence in that direction. Many of Kunjufu’s titles offer alternatives, lasting solutions for the inequality and systemic educational barriers that face our young Black males. 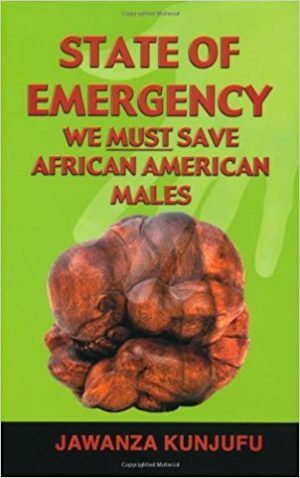 The strong proponent of single-gender classrooms has also addressed, in-depth, the underlying implicit bias that has resulted in so many disparities for African-American girls in two of his books: Educating Black Girls and Raising Black Girls. Kunjufu, who holds advanced degrees in business and economics that have enabled him to place the problems of Black society in the larger context of national and international economic models, spoke to 50BOLD about the miseducation of our Black youth. 50BOLD: How do you feel about the dropout rate among Blacks and is there any prescription for what ails our youth educationally? Kunjufu: Well, one of the books that I have written is Reducing the Male Dropout Rate. There is a wide range – for example, some cities like Detroit, East St. Louis and others, where the dropout rates for African-American males exceeds 50%. And yet there are some other cities, I’m not saying this is acceptable where it is more like 25%. We can say nationwide for Black male dropout rates hovers between 25% and 50%. It is not much better for Black females. It is between 15% and 40%. Now, there are a myriad of reasons for this dropout rate. But one of them is that it is embarrassing to be placed in 9th grade and you’re 16 years of age with a reading score that is on a 4th or 5th grade level. So you literally were pushed out of elementary school because of your age. And now you’re in high school, but you are unable to do the work. And one reason for this is that a disproportionate number of Black children, like 41% of them are in special education. And we are 17% of the population, but we’re 41% of the special education children. And unfortunately, many of our youth who are in special education are not on the grade level when they matriculate to the higher grade which is why I wonder why do they call it special. 50BOLD: So you think the entire special education system needs to be revamped? Kunjufu: Yes, and again that could take days in terms of an interview to cover all of it. Let me quickly say that Brown vs. Topeka was in 1954. And the assumption was that if we could have integrated schools, many of our problems would be resolved. But we didn’t have special education in 1954. We received special education in 1975. And unfortunately, since 1954, there has been a 66% decline in African-American teachers. So that only 6% of America’s teachers are African American. And only 1% are African-American males. So I’ve raised the question: What is the future of the Black race in the hands of white female teachers? And why is it that white girls are placed in special education the least, and African-American males the greatest? 50BOLD: Is there a crisis within our educational system with regards to teaching our children? Kunjufu: Yes. But I am in no way saying that all white teachers are bad and all Black teachers are good. But I do think that it is important that every once in a while, you have a teacher who looks like you. There are schools where there is not one Black male in the building. And if a Black male is in the building, I’m going to wager he is a custodian first, a security guard second, a physical education teacher third, an administrator fourth and a classroom teacher last. And if he is the classroom teacher, he’s at a high school first, middle and junior high second. And you can count the number of Black males who teach primary and intermediate. 50BOLD: Are Black boys perceived by the establishment as an unfavorable group that needs to be invalidated? argue over language is to just look at the data. How do we explain that Black males are only 6% of the adult population but over 50% of the prison population? And whatever word you want to use to explain how this happens, is fine with me. The main thing is that 6 does not equal 50 and something is very wrong. 50BOLD: Do you feel that homeschooling is the best route to take when it comes to educating our youth? 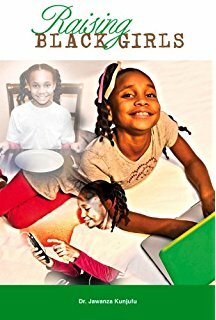 Kunjufu: I think it is a great idea and over 100,000 African-American parents are homeschooling their children. I’m a consultant to school districts and one of the issues they bring me in on is what can be done about closing the racial academic achievement gap. On most test scores, whites and Asians are scoring around the 80th percentile, Blacks and Hispanics are at the 40th percentile. But the good news is that when Black children are homeschooled they score at the 82nd percentile. There is no racial achievement gap between white and Black children who are both homeschooled. However, when Black children are taught by teachers who love them, whether in a school or in the home, they thrive. But when they are taught by teachers, who do not love them, who do not like them, who do not respect them, who do not understand their culture and learning styles, they do not do as well. 50BOLD: What about the Secretary of Education, Betsy DeVos who was appointed by Number 45, what do you think about her appointment? 50BOLD: With nearly 70% of African-American homes without a presence of a father, would you say that the African-American family structure is in crisis mode? Kunjufu: There is no question that parenting is definitely a real dilemma in the Black community. In 1920, 90% of Black children had both parents in the home. In 1960, they had over 80%. But in 2018, it’s now dropped to 27-28% of our children who have both parents in the home. So that is a problem. And I commend those single parenting mothers who are doing a fantastic job of not only being the provider but also the nurturer and disciplinarian simultaneously. 50BOLD: On another note concerning the negativity in the African-American community. I was watching the show Power series on Starz. Are you familiar with the show? 50BOLD: I found Power to be excessively violent and very destructive for the Black community because it glamorizes the crime and drug worlds. Kunjufu: Yes, this is very interesting. You watch the NAACP Image Awards. Literally, the NAACP recently endorsed as our best movie, Girls Trip and our best TV series, Power. Now what does this say? One of our most premiere civil rights organizations feels that our best TV show is Power and our best movie is Girls Trip! So, I’m with you. I have major concerns about the imagery of Power and of the Girls Trip movie. But unfortunately, the sales and the ratings show that the Black community likes watching these kinds of shows. 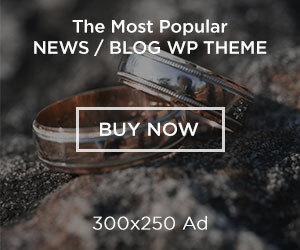 50BOLD: Power is so violent; I could not handle it. I was appalled at the level of violence showcased. Kunjufu: I, like you, had to turn Power off. I only wanted to watch it, so that I could stay current with our audience and would know what they are talking about. But I couldn’t watch it anymore. It was just too violent. Kunjufu: And Girls Trip, I have not seen it, I read the reviews, but it is about four mature women who literally act like whores on a vacation. But the ratings and the sales for the film were off the chart. I will never forget that one time I was critical of Robert Johnson when he owned BET. He invited me to speak on a panel. Johnson told me off-air, he said, ‘Jawanza, be honest. I never called it Black Educational Television. It was always Black Entertainment Television.’ And he went on to say that when he aired programs like Our Voices and other educational shows, the ratings were nowhere near what they were for the music video show 106 & Park. So as a business owner, he said, ‘I’ve got to do with what makes money. I’m not running a non-profit business.’ So for people like you and I who would like to produce a clean TV series or a clean movie, the economic reality of it all makes it very difficult to do so. 50BOLD: And I’m sure you’ll agree that certain genres of music like some forms of hip-hop have moved our community away from a positive direction. Kunjufu: Almost every rapper will tell you, that if you want to get paid, then you have to be violent, you have to be raw, you have to be rough, you have to be sexist, you have to be a misogynist. So you have to commend clean rappers like Common and the Christian hip-hop performer Lecrae. Unfortunately, these types of artists are few and far between. When the Christian and some Afrocentric rappers make the move into radio they don’t get as much radio airplay as the gangsta rappers. And there’s no question, there are four to five music companies that literally control the music industry. So they literally control what’s going to be listened to and be played. 50BOLD: Flipping the script to talk about the prison system in this country and how it’s just a mere numbers game, where more profits are made, when more people are incarcerated, your thoughts? Kunjufu: There’s no question that in terms of the prison population, 85% of inmates who are released, return. So you have a very high rate of recidivism. There is no money to be made in rehabilitating prisoners. The objective is to get these prisoners to either never leave or to come back. Yet, we spend on average (annually) about 18 to 38 thousand dollars (per prison inmate) depending on the state with an efficacy of only 15%. So this is something that is not cost-effective. In comparison to pre-school education, Head Start, Title I, Pell grants – those are all cost-effective programs. 50BOLD: You have gifted us with so many gems, talk about your latest book. Kunjufu: My latest book is entitled, Reading and Writing for Urban Survival. Literally, 80% of the inmates who enter jail are illiterate. So if we teach our Black boys how to read, we’d have an 80% chance of keeping them out of jail. And my two earlier books, Educating Black Girls and Raising Black Girls speak to this issue of illiteracy as well. Over my career, I’ve been challenged and asked why I always write about the males and ignore the females? I personally thought that being a male, I had an advantage of understanding the male culture. I did, however, write two books that are doing very well, in terms of educating Black girls. 50BOLD: Is there any other issue that is heavy on your mind these days? Kunjufu: I am very concerned that one out of every two Black female teenagers has a sexually transmitted disease (STD). So we are looking at females between the ages of 13-19. There is one in every four teenage girls in America who has an STD. But, it is worse for our girls. It is one out of every two. Our young Black females are in trouble. And so while Black boys are suspended at a much higher rate than young Black females, the suspension rate is not good for girls either. And some of the disciplinary problems that are going on in our schools indicate that all is not well with our females. Next articleBlack History Month…10 things you didn’t know about Dr. Martin Luther King, Jr.